A Speaker's SPL is rated under 1m1W testing condition in order to compare the SPL of speakers with different rated powers. When a speakers specification shows SPL data at 1m 1W it does not mean that the speaker is actually tested with a 1W signal and the response measured at 1m. A 1W signal may destroy most of the small speakers. Normalization to 1m1W is just for comparison only. Looking for ideal 29mm Magnet out Speaker Manufacturer & supplier ? We have a wide selection at great prices to help you get creative. 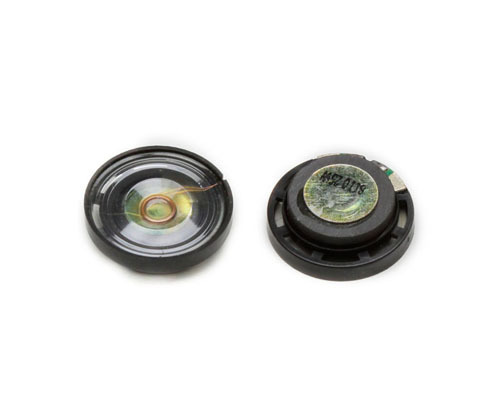 All the Plastic Frame Mylar Speaker are quality guaranteed. We are China Origin Factory of 0.25w Mini Mylar Speaker. If you have any question, please feel free to contact us.